There are many reasons why you might have bad breath. You can get it if you don’t brush and floss regularly. Bacteria that build up in your mouth and between your teeth produce the bad odor. There are many reasons why you might have bad breath. You can get it if you don’t brush and floss regularly. Bacteria that build up in your mouth and between your teeth produce the bad odor. Other problems in your mouth, such as gum disease, dry mouth or cavities, may also cause it. Sinusitis or problems with your nose may be to blame. You can also have bad breath if you eat some foods, like raw onions, garlic or cabbage. And of course smoking causes its own bad aroma. Some diseases and medicines are associated with a specific breath odor. Having good dental habits, like brushing and flossing regularly, help fight bad breath. 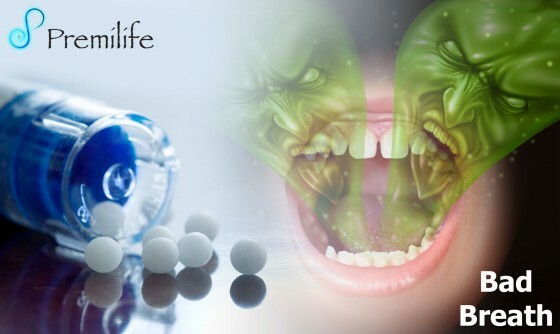 Mouthwashes, mints or chewing gum may make your breath fresher. If you have an underlying disorder, treating it may help eliminate the breath odor.